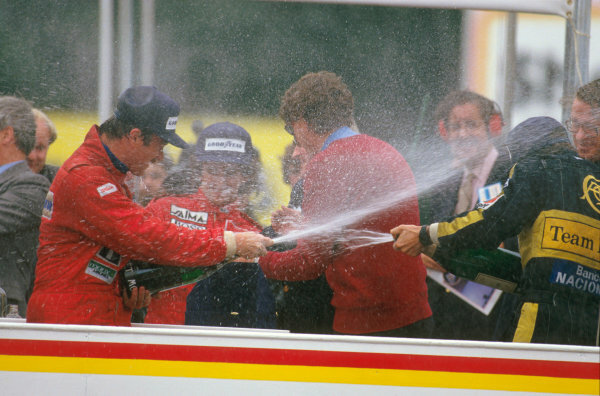 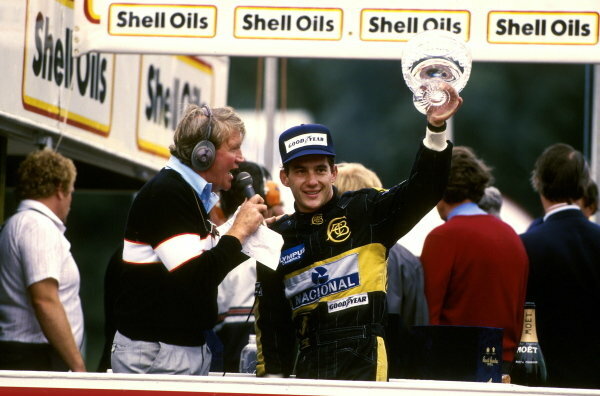 Ayrton Senna celebrates on the podium. 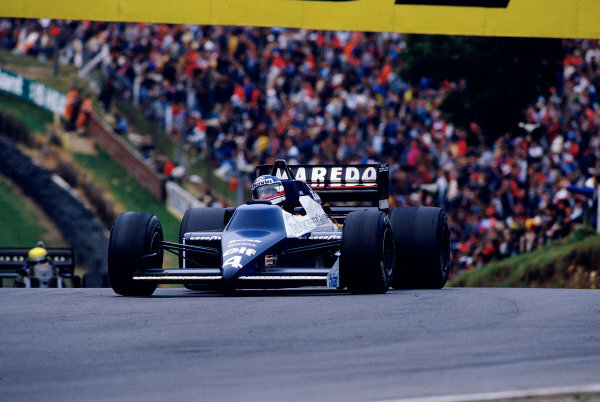 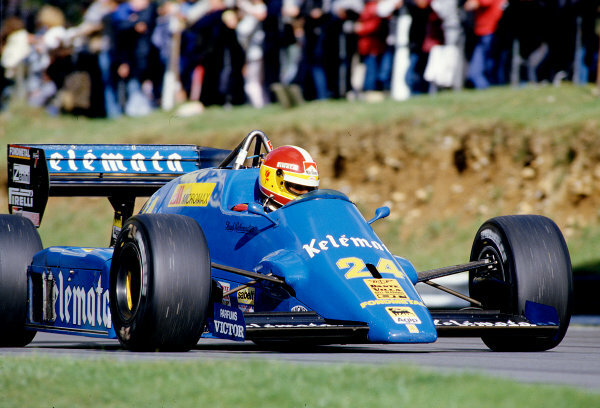 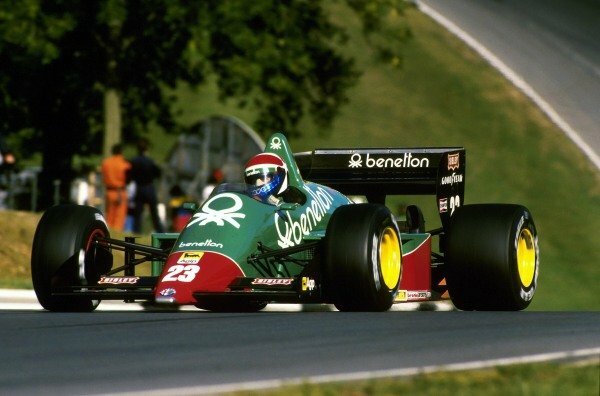 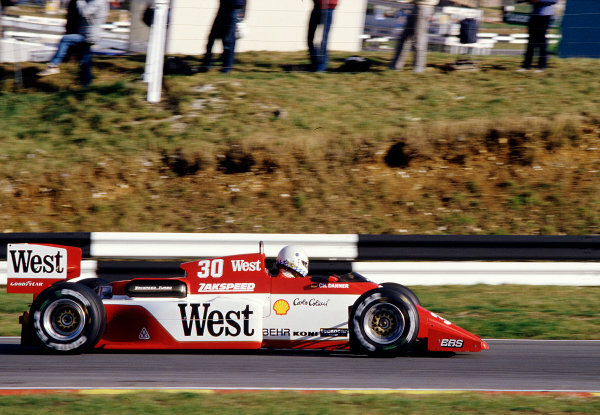 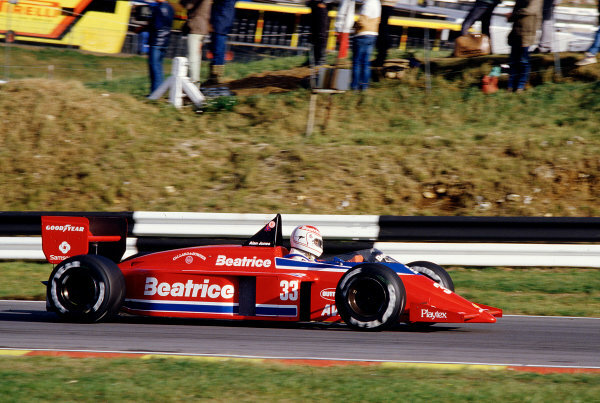 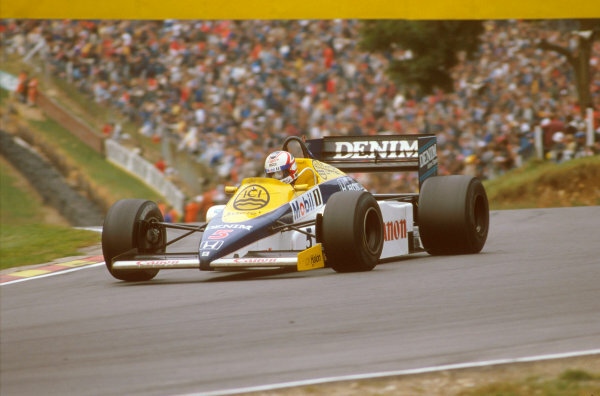 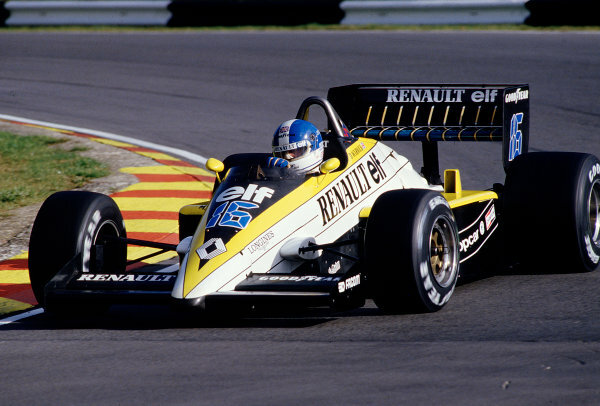 Eddie Cheever (USA) Alfa-Romeo 184T, 11th place.<br /> European Grand Prix, Brands Hatch, 6 October 1985. 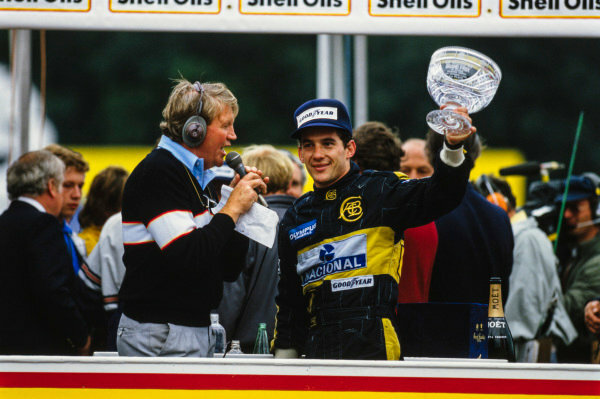 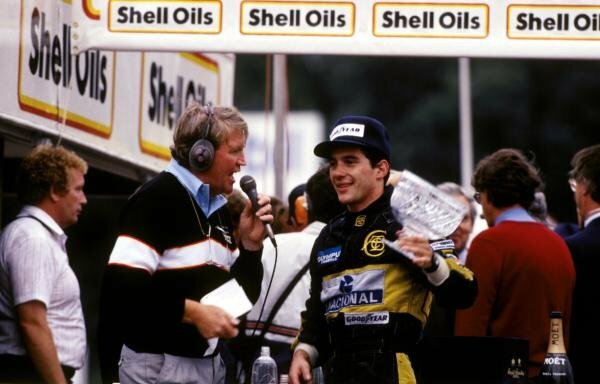 Ayrton Senna (BRA) Lotus 97T, 2nd place is interviewed by commentator Brian Jones (GBR)<br /> Formula One World Championship, Rd14, European Grand Prix, Brands Hatch, England, 6 October 1985. 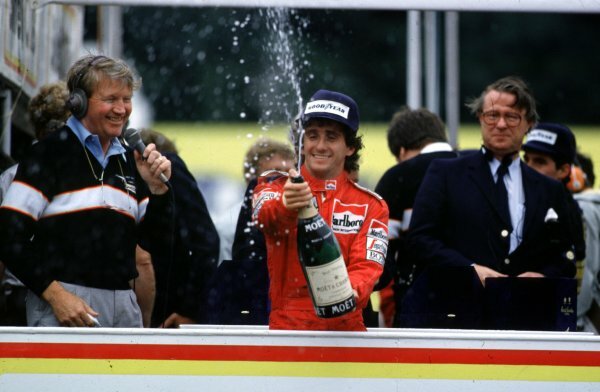 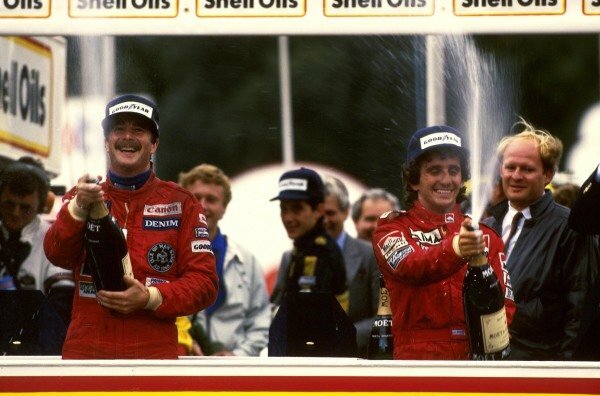 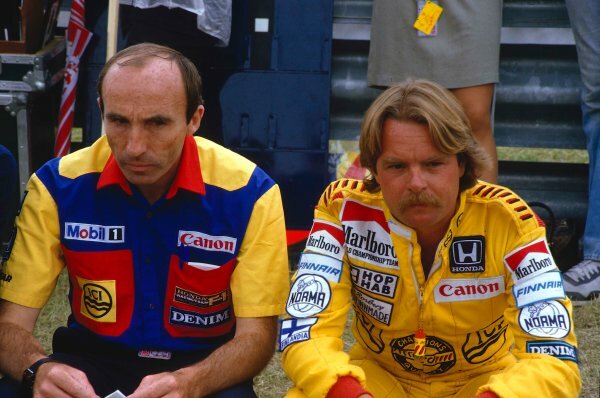 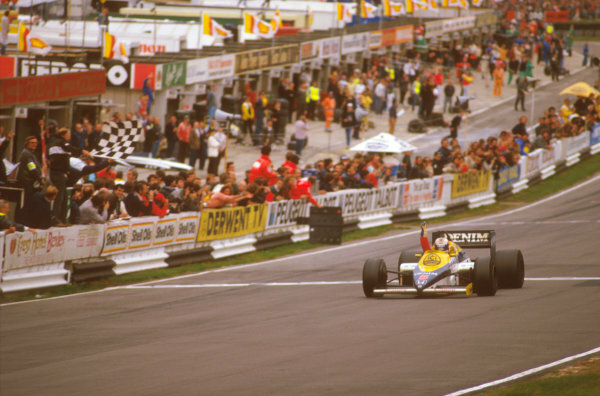 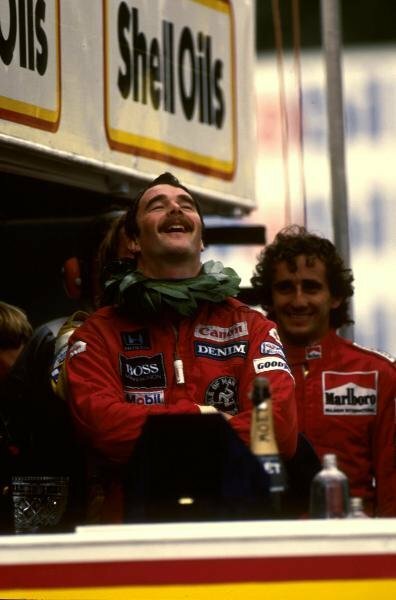 Nigel Mansell (GBR) Williams (left) celebrates his first Grand Prix Victory on the podium as Alain Prost (FRA) McLaren (right) celebrates his first World Championship after a fourth place finish. 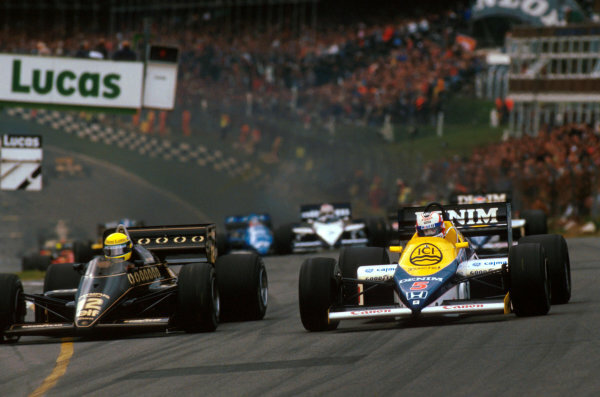 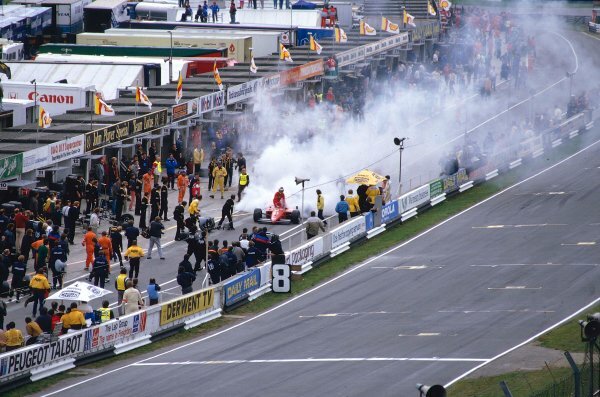 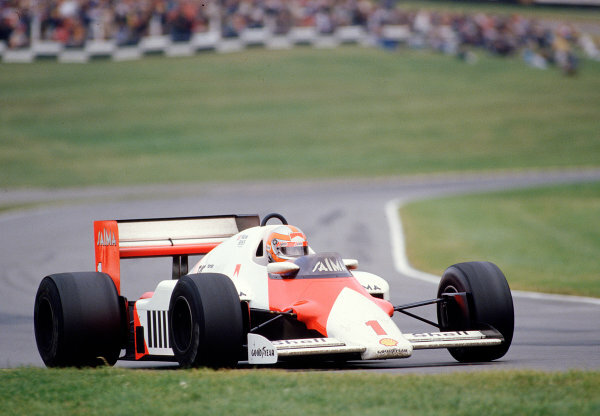 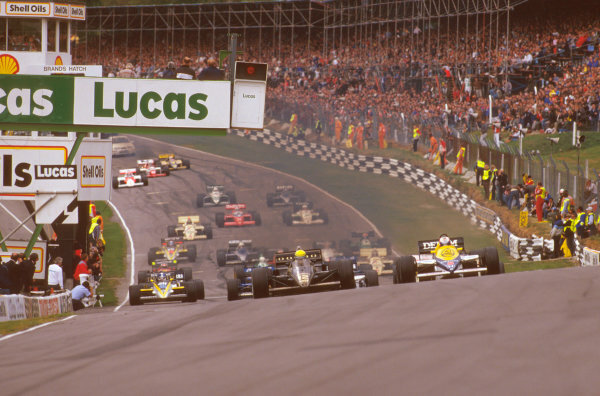 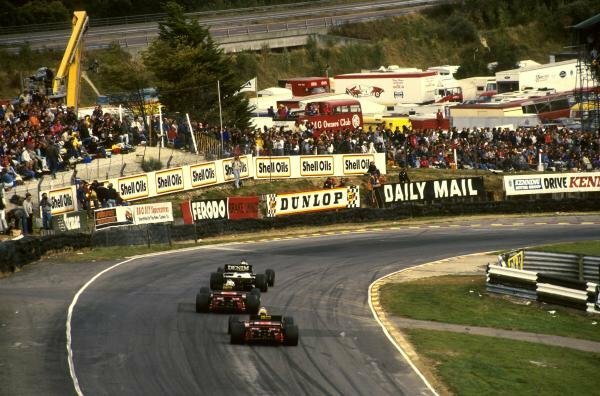 Second place Ayrton Senna (BRA) Lotus (centre) looks on in the background.<br /> Formula One World Chamnpionship, Rd14, European Grand Prix, Brands Hatch, England, 6 October 1985.